Alliance, Resilience Network, and the Corvallis Sustainability Coalition, as well as a few personal invites. On Sunday, February 27, a group of twelve, consisting of Slow Food Corvallis friends, members, officers and members of the broader community gathered for our first Souper Bowl Soup Swap. In the intimate Heathside room of the First United Congregational Church, this convivial gathering began at 1, with everyone sharing bowls of hot soup and cornbread, generously contributed by three Board members. $80 in donations was collected, which was sent to Corvallis Stone Soup kitchen. Around 2, the Sharing of the Soup began. 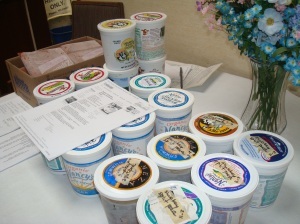 Each participant had brought six frozen quarts of their soup to share. The stories were compelling; many people shared stories about family and friends, or about where the ingredients had come from for their soup. 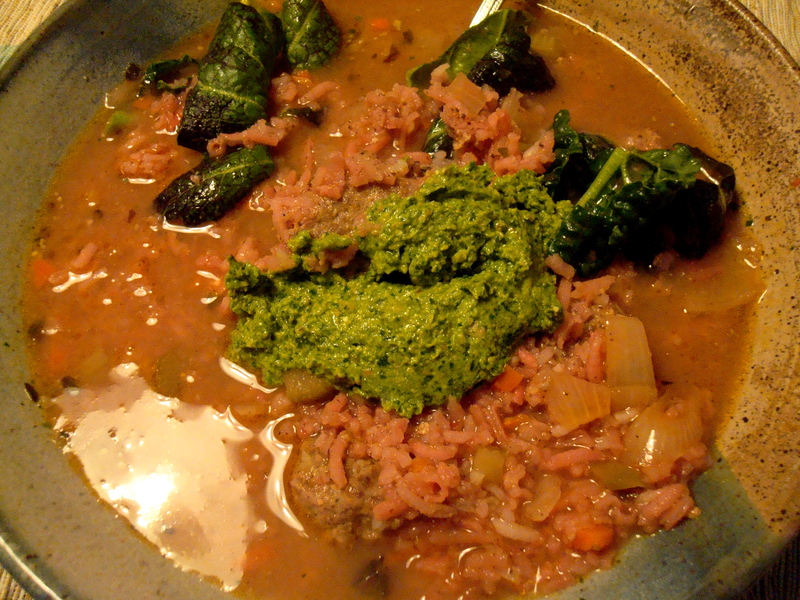 As per the winter season, we ended up with many versions of bean/lentil/split pea soups, as well as a good selection of chicken and vegetable soups. It was around 2:45 that we began the swapping part of the event. Everyone chose a number, then lined up in numeric order. As the line quickly moved along, I found it difficult to remember which soup went with each story, particularly those made with very similar ingredients. Perhaps next time, each person could identify their soup with a name tag. Several participants helped with the washing up and putting away, and we were ready to leave by 3:30, each with new soups to try and new stories to savor.